Looking for an affordable way to add a little colour and faith to your home? This coaster is bright and encouraging. 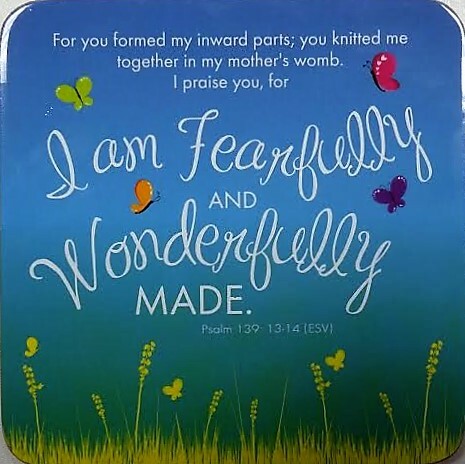 Fearfully and Wonderfully Made Coaster is published by Just Cards and is our 593rd best seller. The ISBN for Fearfully and Wonderfully Made Coaster is 5060427972682. Got a question? No problem! Just click here to ask us about Fearfully and Wonderfully Made Coaster.